Multiplatinum pioneer Future is one of the most prolific artists of this era, and one of the very few who's groundbreaking sonic legacy spawns for longer than a decade. His highly anticipated seventh full-length studio album: ‘THE WIZRD’ is out today. 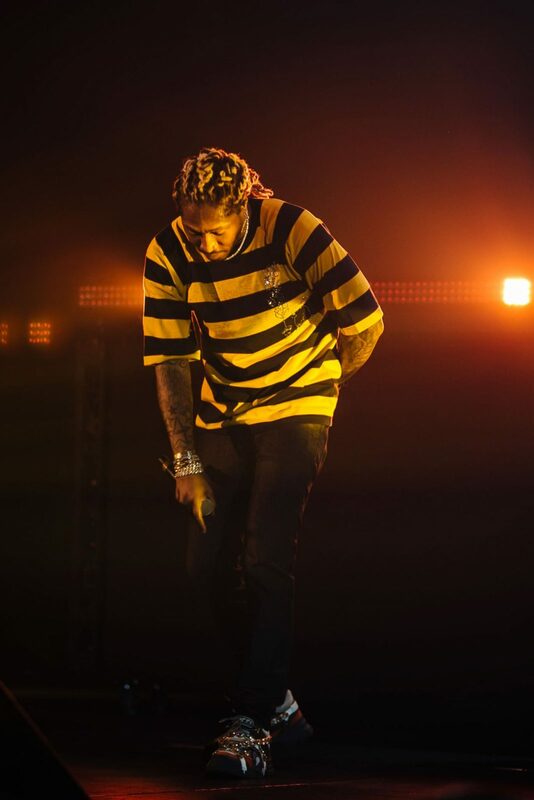 Set never to repeat himself and known for his ruthless work ethic, Future’s artistic contribution took many formats over the years – multiple mixtapes, iconic collaborations, chart-topping albums, and quadruple platinum certified records. The WIZRD, his latest studio album and alter-ego, opens a new chapter of his legacy, and in its 20 tracks take you on his journey narrated by the MC’s deep melodic delivery, featuring guest verses from Young Thug and Gunna on Unicorn Purp, Travis Scott on First Off, under the production of Tay Keith, Wheezy and Southside. The project is complemented by an eponymous official documentary released earlier this month via Apple Music. The hour-long video showcases unique up close footage of the artist’s creative process, and rare glimpses into his life, told by many of his close collaborators and friends. tmrw went to the UK’s album release party in Central London, where during the event’s short Q&A session with radio host and DJ, Semtex, the rapper shared his appreciation for his tight-knit London fanbase, who have been with him ‘since day one’. You can watch the recap of the event below.